The drums are already beating for the 2015s, but for fans of the Northern Rhône, there’s no reason to wait. By all accounts, the 2015s will be something to look forward to when they arrive. I plan on visiting ­later this year to taste and report on them. But if you love wines from the Northern Rhône, particularly the beguiling perfumes and seductive textures of Condrieu and Côte-­Rôtie, there’s no compelling reason to wait for the 2015s. For Condrieu, 2015 can’t be much better than the two vintages currently available. Both 2013 and 2014 are chock-full of stellar wines. When I blind-tasted 31 examples from the 2013 vintage during my last Rhône visit, I rated 20 of them 90 points or higher. Ditto for 11 out of 16 samples from the 2014 vintage. Either way, it’s difficult to go wrong in this microappellation of approximately 420 acres planted exclusively to Viognier. Both the ’13s and ’14s are beautifully poised, featuring ample bouquets and balanced alcohol levels. 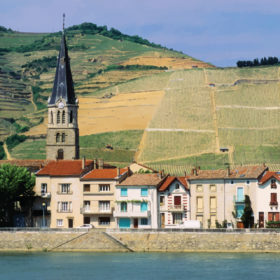 In Côte-Rôtie, the classic, long-aging 2010s are largely sold out. The 2014s suffered from a cool summer marred by rain. But other recent years each have something to offer. Philippe Guigal calls 2011 “a nice surprise. Its only weak point is that it follows 2010.” The wines are classic Côte-Rôties, eerily reminiscent of the 2001s and 1991s. The 2012s are ripe and supple, maybe a touch lacking in structure at first glance, but seductive in the extreme. Guigal calls them “­welcoming,” and compares them to the 2007s, a vintage that has always been open and yet continues to age well. In that respect, they may be similar to the 2005s or 1995s, ­vintages that needed a decade or more to open up. For wine lovers who can’t get enough of the unique Syrahs that come from these steep French slopes, there’s no reason to wait for the next vintage of the century. Good choices already abound.